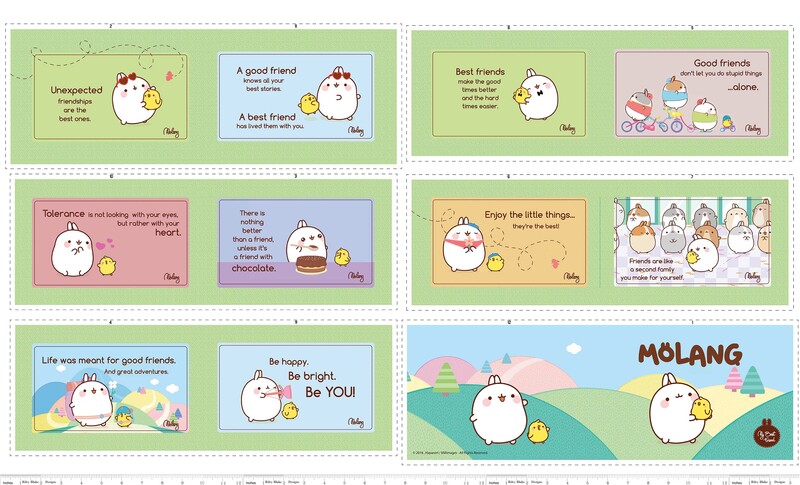 Riley Blake Designs, Molang by . 100% cotton, pattern P7706-PANEL, Molang Soft Book Panel. Sold in 15 yard bolts.